Ala carte food taste is good in taste. I am not sure if we found it okay because we were too hungry. Breads item for dinner needs improvement. Breakfast items is good but service too slow. Have to wait for 10-15 minutes. Excellent scenic location, Delicious food, very good staff who can take care of you very well. The rooms were well-maintained, and cleaned adequately. The staff and the managers ( I remember one mr Divakar and mr Vicky) are polite and receptive. Nothing to like there, very worst experience I ever have. Environment around the property, food taste, cleanliness, service by the staff good. Delightz Inn This rating is a reflection of how the property compares to the industry standard when it comes to price, facilities and services available. It's based on a self-evaluation by the property. Use this rating to help choose your stay! 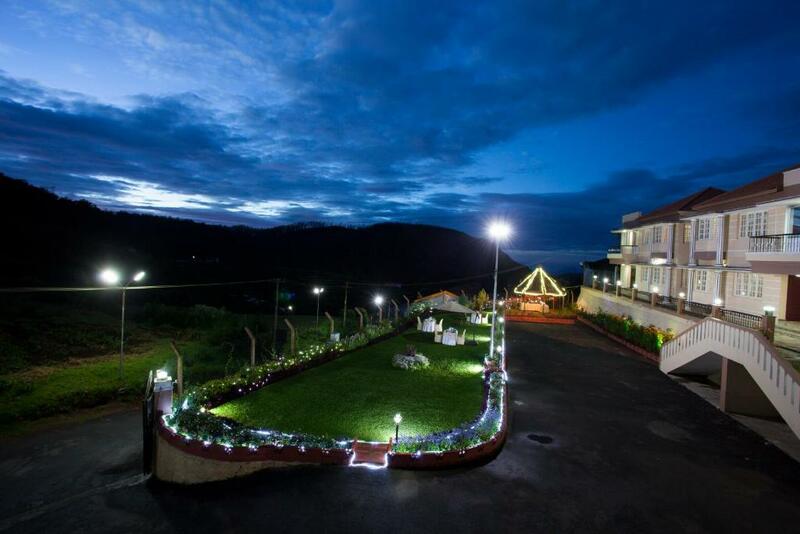 Featuring a backdrop of the Doddabetta Hillls and located on Tiger Hill, Delightz Inn in Ooty offers horse riding activities and bonfire nights. It has fully furnished cottages with a kitchen. Free parking is provided. Delightz Inn is 1.6 mi from Charring Cross and 3.1 mi from Ooty Railhead. Coimbatore Airport is 55 mi from the hotel. Cottages each have a balcony overlooking the surrounding greenery. Ironing facilities, a safety deposit box and tea/coffee-making facilities are provided. Room heaters are provided upon request, at an extra charge. Ticketing and currency exchange services are available at the tour desk. Luggage storage is provided at the 24-hour front desk. Guests can request for laundry service. Indian and Chinese cuisines are served in the restaurant. When would you like to stay at Delightz Inn? A fully furnished cottage with a kitchen, living and dining room. Views of the surrounding greenery are available from the balcony. House Rules Delightz Inn takes special requests – add in the next step! Delightz Inn accepts these cards and reserves the right to temporarily hold an amount prior to arrival. Please inform Delightz Inn of your expected arrival time in advance. You can use the Special Requests box when booking, or contact the property directly using the contact details in your confirmation. The food ( we had one lunch and breakfasts) is not great . The quality was average. But as far as the breakfast is concerned it is being served very late ( later than the scheduled 8 am). On 8th April, I drew the attention of Mr Ducajar and the F&B manager. Even when the service started late, the buffet table items are not replenished fast. Very discouraging way to start a tourist's day! But the next day, after my complaint at least the service started in time, but there is still room for improvement My impression is the junior staff is not motivated; but if it is due to poor staff selection and inadequate compensation , the management has to set things right. I wish the owner makes discreet enquiries about what is happening. It is a pity that the great facilities are not properly utilized. Also the approach road from the town is awful! We were 4 people and trip was for 3 days. Even though we paid 7 days earlier and to our surprise they have arrangement for only 3 people. After a lot of effort and discussion we got 4th bed and they have taken time to make the arrangement almost 3 hour after many denials. BATHROOM: Worst and very small. Construction doesn't seems like 1star hotel as well. PARKING: They have promised parking space but not provided. My driver spent all night outside premises and each and every day he faced " Junglee Bhaisa". DISTANCE: Its very far even though you have SUV driving is not safe. Road are vey pathetic. FOOD: You will get vey tasteless food and its up to their choice sometimes they will arrange buffet and some time they will serve in the room. STAFF: Northeast staffs were good and professional but they do not have any authority for any decision because owner itself less bother about guest and hospitality. Disclaimer: Don't go with positive rating on any website. Because its an IT thing which can be bought very easily. If you have ladies member along with you then you must not stay there. Very very unsafe not because of location only but mostly because of some activities over there. 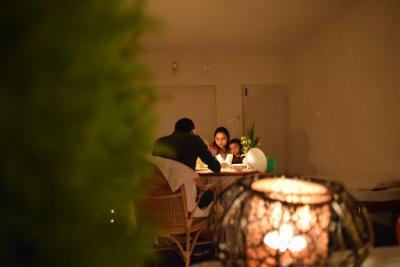 Indoor games, activities for guests can be arranged, no entertainment from the property side. Located a little away from city. No room heaters. They charge separately for room heaters. Good hospitality, good food, good view.